Running a top-notch website or blog requires several elements. Most importantly, the content presented to readers and shoppers alike must be desirable. From there, you’ll need a well-designed website that is aesthetically pleasing and easy to use. 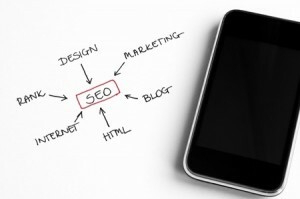 SEO tactics factor in considerably as well, but it’s not just standard SEO that has to be considered. With more and more people abandoning traditional computing devices and making the switch to mobile, considerations for mobile SEO must be made as well. Below, we’ll discuss what mistakes to watch out for and prevent if you want to do well in search with mobile devices and desktop devices, too. A huge part of SEO revolves around providing various forms of content and multimedia to the masses. From articles and blog posts to infographics, social media integration, videos and podcasts, your site should strive to offer as many forms of content as is realistic. Unfortunately, mobile devices can sometimes be difficult with select forms of multimedia (one notable example is the lack of functionality between Flash videos and iOS devices). In order to ensure that this isn’t a problem, always serve your videos and other forms of multimedia through the use of HTML5 tags in order to avoid formatting issues that might create conflicts. A huge negative for mobile SEO is the lack of speed – if your pages take ten seconds to load on mobile devices, then you can pretty much kiss the front page of any SERP goodbye. While mobile users are willing to wait longer than the desktop average of 2 to 3 seconds for a page to load, you want to ensure that all pages load within 5 seconds on any mobile device. Pinging URLs to Google that violate this general rule can land you in trouble with their algorithms, so be sure to investigate several of the many ways in which you can cut down on page loading times by minimizing code, reducing file sizes or adopting optimized mobile responsive templates. We all have to make money doing what we love, but the use of app download ads and interstitials can prove to be more of a negative than a positive. Not only will these tactic often anger the visitors who decide to visit your site, but Google does not view the practice too kindly, either. In order to please both your fans and the powers that be, it is generally a good idea to avoid this practice. It can be especially tempting to promote these ads if they are for your very own app, but opt for a standard text-based link instead if it is absolutely necessary. Whether you are pinging URLs to Google for a mobile device or a desktop device, there are certain rules that must be followed in SEO. While many of these rules will be the same across devices of all types, you must be careful when accommodating mobile users. We highly recommend avoiding interstitial app ads, slow pages and inaccessible multimedia options/coding when serving content to mobile users; following this advice will help minimize a good portion of negative SEO when appearing in mobile SERPs.